Happy Monday! 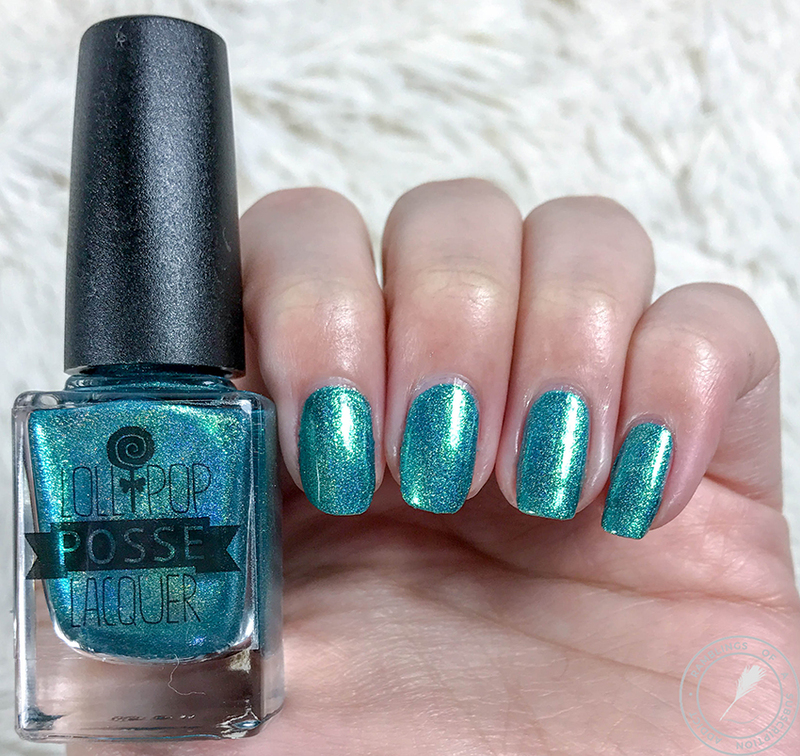 I'm back after a less than eventful weekend at home with a polish from Lollipop Posse Lacquer that's currently not available, which makes me sad. This is from the Summer of '96 collection (which I Felt You Like Electric Light also was from), when I was a wee four-years-old. 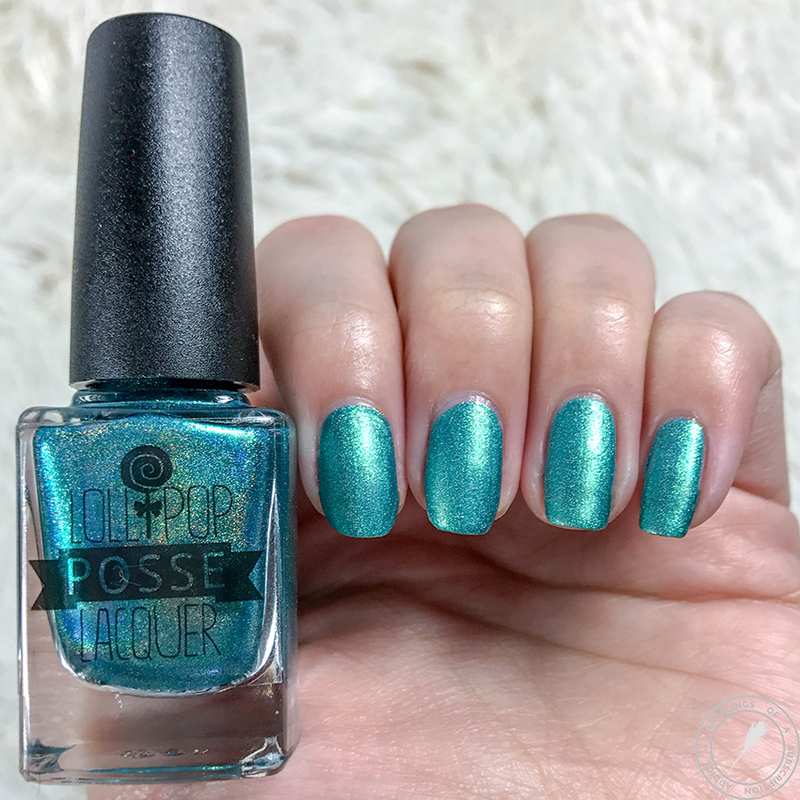 She does have a crap ton of really pretty polishes, so you might just want to check out her store. 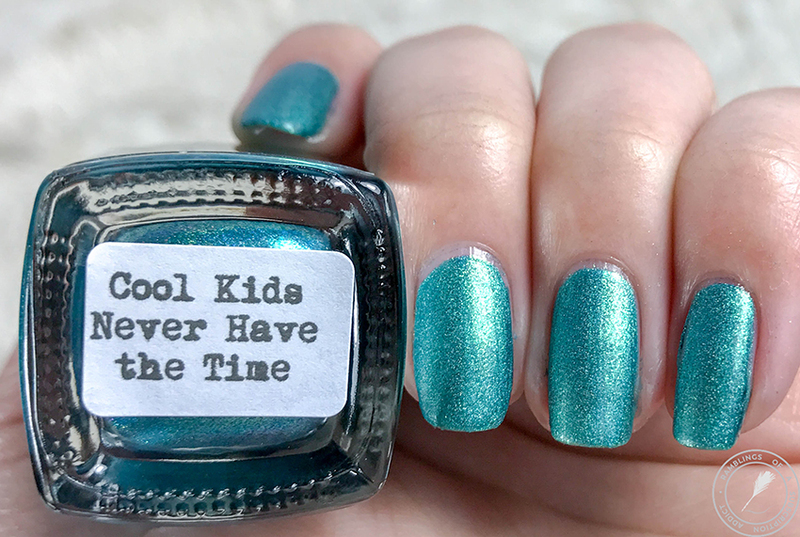 Here is Cool Kids Never Have the Time! 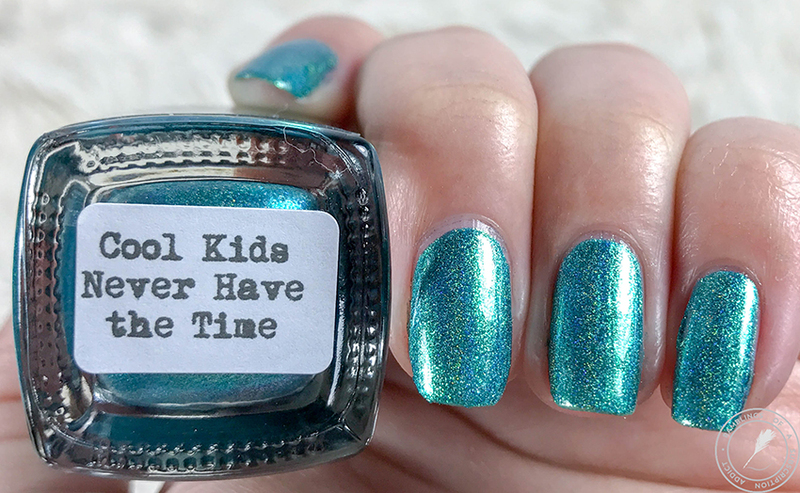 Cool Kids Never Have the Time is a turquoise green linear holographic with a blue-gold shimmer. 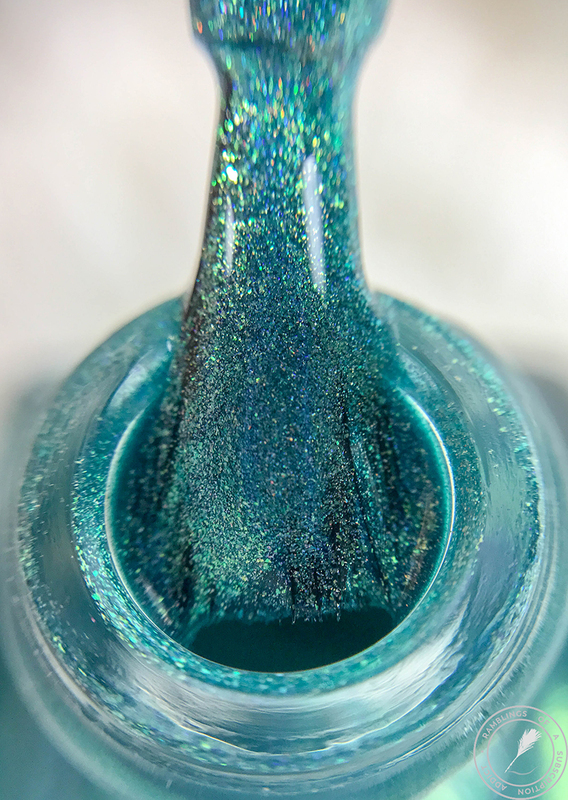 I gotta admit, this gold that's coming through is what made me want this polish from the moment I put it in my cart. One day, I'll get a full collection of a gold shimmer. 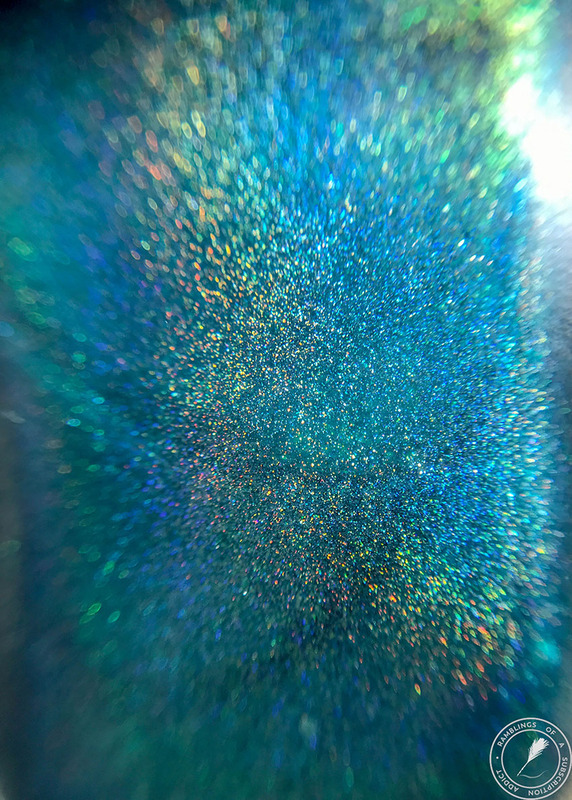 Check out that holographic that's going on here! The blue, the green, and the gold all at once, it's stunning. Even matte, all three of the colors that are showcased are clearly showing. 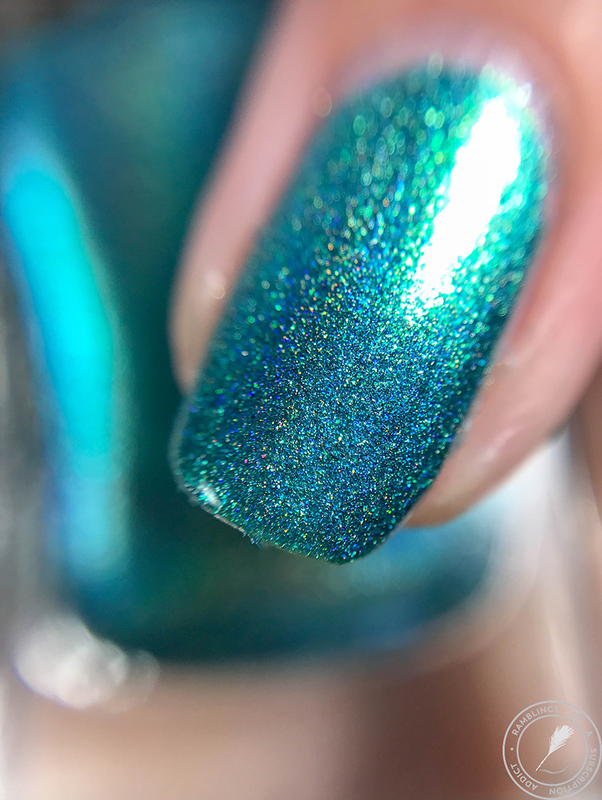 I definitely like this polish matte but it's definitely more gorgeous with the glossy top coat! Ease of Dry: Typical dry time.